Erin was introduced to Debra Quillen in 2002, helping with holiday floral work. Pursuing her creative interests, Erin followed Debra when Event Floral launched, learning about the business from the ground up. She graduated from Rockford College with a degree in Business Administration, Management with hopes of enhancing the operations and future success of Event Floral. Erin specializes in bridal bouquets, but enjoys all aspects of design. 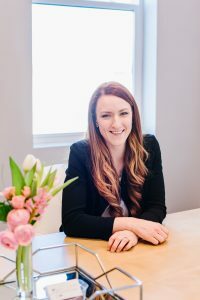 In 2014, Erin took over ownership of Event Floral, and continues to grow the business with a modern and quality-driven vision. She is married with 3 sons, Lucas, Nathan, and Joshua who are the joys of her life. She cherishes time with her family and friends and also enjoys running, creating artwork, and photography.